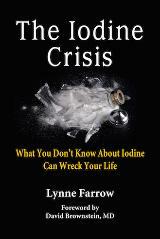 What is the Iodine Crisis? us sick, fat and stupid. provides a false sense of security. iodine forums advocate doses which don't agree with them. These sensitive people are not alone but many don't speak up. Here's a system I created that has worked for many. Lugol's with ten drops of water. each morning or even once a week. has shown to be effective. may further help to desensitize.